Abstract The purpose of this study was to determine if a relationship existed between teachers' overall assessment of school climate and the number of years worked with an elementary school administrator. A secondary purpose was to determine if a relationship existed between teachers' overall assessment of school climate and the total number of years teaching experience. The Organizational Climate Description Questionnaire for Elementary Schools was distributed to all elementary teachers in the Kearney, Nebraska School District. Of the 151 surveys distributed during April 2005, 132 were returned for a return rate of 87.4%. Teacher responses on the surveys were tallied based on the composite school climate score, as well as the scores received for the following dimensions of climate: supportive behavior, directive behavior, restrictive behavior, and principal openness. The survey results were grouped by interval years of 1-4 years, 5-10 years, and 11 or more years based upon years worked with an elementary administrator, as well as total years of teaching experience. Analysis of the data indicated that there was no significant relationship between teachers’ overall assessment of school climate and years worked with an elementary administrator, nor was there a significant relationship between teachers’ overall assessment of school climate and total years of teaching experience. Additionally, there was no significant difference in teachers’ overall assessment of school climate based upon years worked with an elementary administrator as well as based upon years of teaching experience. 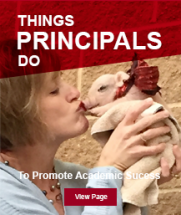 A negative correlation was found between supportive principal behavior and years worked with an elementary school administrator. Another negative correlation was found between principal openness and years worked with an elementary school administrator. The study concluded that the years of association between a teacher and an elementary school administrator in the same elementary school have little relationship to teachers' perceptions of school climate. Another conclusion based on this study was that the longer elementary teachers work with an elementary school administrator, the less supportive they view the administrator's behavior. A final conclusion was drawn that the longer elementary teachers work with an elementary school administrator, the less open they view the principal’s behavior.